JMS Reflect | John Mason School: Using educational research to help build reflective practice. After many, many years of just operating instinctively, I have been thinking a lot about questioning over the last few years. I have been reading a lot about questioning. I’ve read about strategies, types of questioning and pauses. I’ve blogged as my thinking has developed; about distributing questions equitably, or using pauses at different points in the questioning sequence to build students’ responses. I have learned about hinge questioning and how to construct multiple-choice questions that really probe students’ thinking. I’ve been introduced to technology that does an amazing job at supporting quiet students to respond and participate, or at randomising my question selection. Questioning is very important – perhaps one of the most powerful tools we have as classroom teachers. Performance and learning are not the same – so questioning needs to be subtle and strategic. There are many different types of questioning, with many different purposes. Students respond to questioning in very different ways. There is a LOT to learn about questioning, and it is very complicated. Some of the advice I’ve heard and, indeed, repeated to teachers in the past now makes me cringe. To take one example: whole class questioning. I find this a hugely powerful tool, at the right time and in the right place. If routines are established it can be an efficient way to poll the class. However the routines are vital – the equipment being available, the speed with which it can be accessed. If not, chaos quickly ensues. Of course students copy each others’ answers; so I’m looking for more than just what is written on the whiteboard. I’m gauging reaction time and looking to see who is stuck, looking around at their peers or quickly changing their answer to conform with the class. It matters whether this is a hinge moment, or an opinion poll or a quick plenary. It matters whether the act of correcting their answer is the learning I desire or whether I really need to know how many students actually know the information … in which case perhaps I should be considering a quick (private, low-stakes) written quiz. Thus to simply tell teachers to “try whole class questioning” is remarkably simplistic and probably not going to work without much greater support and guidance. And yet it happens. A lot. One of my roles is to support our early career teachers, who increasingly come from a variety of routes into teaching, with many different levels and types of training. “Questioning” is a recurring development point, frequently raised by reflective teachers themselves who are always looking to improve the quality and value of their classroom interactions. It is a hard one to tackle: there are so many things to get right, and so many which can go wrong. There is a lot of reading out there and much great advice, but it can be too specific, or else act like a “menu” of strategies. It is not always clear what to pick. WHY AM I ASKING THE CLASS QUESTIONS? WHAT DOES USEFUL INFORMATION LOOK LIKE HERE? This is not meant to be a comprehensive overview of questioning. It links to pieces that explore the issue with far more subtlety. It leaves off some big ideas in questioning (e.g. hinge questions) as I find them to be a little complicated when struggling with questioning, although immensely powerful when well planned and because I really wanted it to be a single page for easy reference. Every time I look at it I tweak it a little more, or question whether I have included or excluded the right things. Several colleagues have suggested tweaks which have been included here (with thanks to Lucy Dasgupta and Chris Davies). However my early career colleagues this year do say they have found it helpful as a starting point and so I am sharing it here. Any constructive suggestions would be appreciated and any colleagues who have their own similar maps and would be willing to share, I’d love to take a look. Should more students be involved in this questioning sequence/dialogue? Is this questioning strategy time-efficient for my major goal? What would this look like if it worked brilliantly? Where should I go for help with that specific strategy or vision? Lesson observations can be uncomfortable for both parties and are difficult to get right. When being observed it is hard not to feel judged and even defenceless, even though that is not the intent. The abolition of “judgements” following Ofsted’s lead in 2014 did not necessarily do enough to change this dynamic. Partly because there is also discomfort on the part of the observer. As an observer the pressure to offer “constructive suggestions” can force you to look for the negative instead of the positive and the better the lesson is the more wide-reaching can become the search for something “useful” to say. Furthermore there is often a divergence of goals between the observer and a teacher. As a teacher I want to put on my “best face”. At times this has been quite a fake “show” that didn’t reflect my normal teaching. As I grew more confident I was happier delivering something that more closely resembled my “normal lesson” (whatever that is!) but was still overly focused on aspects of planning and delivery that were about performance rather than substance. However as an observer I want to see difficulties, challenges, classes that are struggling and things that I might be able to “help” with. The observation itself is not necessarily a valid tool for analysing a teacher’s pedagogical choices. This holds even assuming the best of conditions (a subject specialist with some knowledge of the students in the room). Whilst there are clear and helpful principles behind good teaching, we all know that choices about delivery of a particular unit of learning to a particular cohort of students can be personal and highly nuanced. Whether observing or being observed, I rarely felt that the comprehensive understanding of these things existed between both parties that was required to ensure feedback was relevant and useful. Various efforts to mitigate for this (extended lesson planning sheets, detailed “context” documents) have tended to add to workload rather than solving the core problems. The observation is unlikely to give a valid picture of learning or progress. You can’t observe learning, only performance which is a poor proxy for learning under the best conditions. This results in most teachers, however resistant to putting on a “show” having to offer some adaptations in an effort to “demonstrate progress”. When both the teachers and the class are “performing” it is at best questionable whether the observation represents normal practice, rendering the feedback of very limited use. As a result, it is unsurprising that there is little evidence to show that the 3 lesson observations a year most teacher get have a positive impact on teaching and learning. Attempts to change this have generally fallen flat. For example, the University of Bristol’s large scale Teacher Observation study trialled in 82 schools showed the model to be very expensive but with no impact on (English or maths) results. However, this year, our new Director of Teaching and Learning, Lucy Dasgupta, introduced a new model of developmental lesson observations to John Mason and it has been something of an eye opener. Her ideas have radically changed how we conduct lesson observations at John Mason and not before time. 1: An agreed and precise focus – The teacher brings an idea for the focus of the observation to the planning meeting and this is agreed with the observer by the end of the meeting. The aim is that it should be something that is a new strategy or a pedagogical development for the teacher. In my first observation I sought feedback on my implementation of retention and recall strategies, particularly with regards to the appropriate pacing for different groups of students in the lesson. In another I asked the observer to focus on my modelling of my metacognitive processes as I modelled an extended analytical thinking task for the students. In both cases, I selected something I am developing in my teaching this year and sought feedback on this agreed aspect of the lesson. 2: Joint Planning – before the lesson observation the teacher meets with the observer to discuss their plan for the lesson, their objectives and relevant contextual factors. This does not require mountains of paperwork (if a teacher is there to explain their planning, why would it?) but it does involve both finding some time together to invest in a discussion about the objectives for the lesson. During the planning session the strategies the teacher plans to use in relation to the observation focus are reviewed particularly carefully. The observer’s role is as an active participant in planning, sharing experience and suggestions. This increases the likelihood that the observation itself will be useful as both parties clearly understand the objective and the choices behind strategy selection. There is not a sense of “I wouldn’t have done it like that…” as ideas are shared at the planning stage. I have found both as an observee and an observer that what comes out of this meeting is a shared understanding of the context of the class and a sense of shared ownership for the lesson. The Observation – During the observation the observer focuses on the agreed development in a manner discussed in the planning meeting. At the planning stage both parties discuss what the observer might focus on, with the classroom teacher taking an active role in defining what data would be useful to help them evaluate their own strategy. When being observed the whole process is more comfortable; I know what the observer is looking at and why, and what sort of feedback they are gathering. It is what I have asked for! Feedback – This is short and focused, as both parties review the evidence gathered. The observer’s main role is to provide data to help the teacher (the expert on that class in that subject, let us remember) to reach a judgement about how well the lesson strategy met their goals for the class and how they might develop it further in the future. Other discussion is off the table; this is not a general, sweeping review of someone’s teaching, with the observer feeling pressured to provide “development points”, however trivial or tangential to the focus. Considerations for future practice – the final steps of reflection are considerations for future practice in taking the strategy forward. This can be led by the observer or the teacher depending upon the nature of the feedback discussion, and may involve identification of next steps, or further support. This model of lesson observation seems empowering both as a teacher and an observer. In both roles I feel more comfortable and the process feels far more natural and productive than using the traditional model. Obviously there is no way to measure the impact of this specific innovation amongst everything else. However my experience has been that the feedback I have received has been much more focused and useful to my development than previously – it is something that fits with my own development goals and helps me effectively reflect on my practice. Our staff feedback after the first cycle of observations suggest this to be widely the case. Even if this is not 100% achieved, if lesson observations can be conducted in a way that empowers teachers, respects their professionalism and leaves them in control of the learning in their own classroom then I’m all for them! What am I currently developing in my own teaching? What new strategies am I trying to deploy with my classes? Where am I least confident in my delivery or outcomes e.g. in what area of my teaching could I most benefit from support and guidance? Which aspect of content, lesson planning, or which sub-group of students might make a useful focus? What would I like to better understand about my own teaching at the end of the observation? What data could an observer gather that would help me better reflect on my own teaching than just being alone with my class? If learning is to be truly empowering for our students, they need to understand how to use what they have learned. I have found that bringing metacognitive reflection into the feedback process can support this. Since the EEF published its report on the high positive impact of metacognitive strategies last April, I have been reflecting on this a lot. Metacognition is not really a new concept and there are few techniques I’ve seen suggested that are entirely new. However, the report did reawaken my interest and drive home the potential value of building metacognitive reflection as a habit in my students. A number of strategies and suggestions fit well with the idea of developing a “growth mindset”. And like many good growth mindset strategies, one of the great challenges has been developing metacognitive reflection as a habit – in myself, let alone my students. I have yet to crack this, but I have found some strategies and areas of teaching where it has had particular impact. The first of these is in feedback. With the current focus on knowledge-acquisition (a very important goal) it can sometimes be easy to overlook how important it is that students know what to do with the knowledge they have acquired. My experience of the new qualifications has been that they seem far from friendly towards rote-learned application strategies and simple, formulaic answers. The qualifications rightly seem to demand that students can apply domain-specific knowledge to quite complicated problems and challenges, using it flexibly and effectively. In helping them to develop these skills, metacognitive prompts and questions about their process can be very useful in supporting them to reflect on what they did with their knowledge and how they went about deploying it. There is some great material out there on ways to support students’ thinking along these lines with major assessments. I am a particular fan of exam wrappers which I first learned about from Alex Quigley’s blog: https://www.theconfidentteacher.com/2018/01/top-10-revision-strategies/. The metacognitive modelling of exam technique (the ‘walking talking mock’) is another strategy I favour and John Tomsett has frequently advocated this, not least in his most recent blog: https://johntomsett.com/2019/01/06/this-much-i-know-about-how-to-use-research-evidence-to-improve-both-my-teaching-and-my-students-outcomes/. However, I do think that for something to become a habit of thinking, it needs to be deployed regularly and so I have also been working with prompts I can use in my regular teaching and feedback. Below are some of the questions I find myself using most regularly to encourage students to think about how they prepared for, planned or researched a task and how effective that process was. One thing I have learned during the process is that these questions can produce interesting answers that give me better insight into where my students are struggling than simply “marking” an end product. Another learning point has been that they can be deployed even when students have done well – they don’t always understand why they have done well. Too often students think the key is about the amount of time spent on the work, rather than strategies used. With these questions I try to move students’ thinking from focusing on “hard work” to “smart work”. The last one is therefore particularly important! What did you read to research for this essay? What search terms did you use to find material? How did you then select material? Which reading was most influential on your thinking? What revision strategies did you use to prepare for this assessment? How effective do you think they were? What gaps did they leave? How did you plan this answer? What were your key priorities? How effectively do you think the [essay/narrative/work] reflect the plan you created? Review this suggested content and identify which of these you included in your answer. Did you leave any of the suggested content out? Why was that? Did you include anything not on the suggested content list? Was it more significant than the material on the suggested content list? Why did you include X but not Y or Z? How would you approach this task differently next time, now that you have had feedback? What strategies helped you to do so well in this task, that you can deploy next time? The use of “metacognitive feedback strategies” is not a replacement for all the other feedback and marking strategies I use or have blogged about. These represent an additional tool I can deploy to support students’ development. They can work as part of whole-class feedback or individually. Often these questions will form the basis of an oral discussion whilst students are working on feedback tasks, to avoid the labour involved in a “purple-pen-style” dialogue which can take some weeks to complete! I still give students targets, redrafting work and further reading as a form of feedback. I wouldn’t only use these questions as I don’t believe that feedback needs to follow a single format – in fact, that could be detrimental to the main goal of creating a meaningful dialogue. However, I am increasingly making use of the metacognitive questions above to encourage students to reflect on how they approached their planning or delivery of a task, and how they sought and deployed the knowledge and skills needed to achieve success. If learning is to be truly empowering for our students, they need to understand how to use it. I have found this approach to support this outcome. What is it I most wanted the student to learn from this activity and what type of feedback will best help them to understand and reflect on that? How confident am I that I have understood the process by which the student has ended up at this point? Is there anything more I need to understand about their work or planning process to help them improve? How can I support my students to reflect on their own learning journey, rather than simply telling them what to do differently? How will I know if the feedback has really helped the student to make progress; what different will I see in the future? I have come to understand that some of the ways I’ve taught SEND students in the past have not been helpful. In some cases, I think I have adopted strategies that would have actually hindered learning for some students. 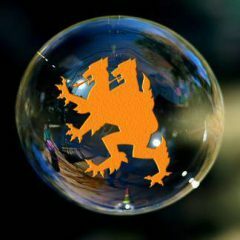 I have had to think carefully about how to develop my practice in this area and challenge some long-held preconceptions about how best to help students. Here are 5 things I have come to believe I was doing wrong and the changes I’ve made to my teaching. Differentiated learning objectives… at one stage this was quite standard and my planning would reflect different expectations of students with different needs and prior levels of attainment. This could be in the form of “Must/Should/Could” or “All/Many/Some will…” or simply in my own planning. I anticipated SEND students achieving less, thinking less deeply and struggling to access complex tasks. With more experience, I have increasingly come to understand that if my planning places a ceiling on what my students can achieve they are unlikely ever to excel or to achieve their full potential. When planning today I aim for all students to achieve the same outcome which (over the course of a unit) includes secure knowledge and the ability to use this to analyse and evaluate the material we’re considering. If a student has barriers that make this challenging, my main aim is to work out how to scaffold and support them towards the outcome, not how to change the goalposts and give them something easier at which to succeed. Overloading students with support resources… When planning challenging activities, I find it very tempting to “support” SEND students with different and additional resources; key words lists, prompts sheets, dictionaries or thesauruses to help with vocabulary, not to mention my own helpful “drop in” to chat to them about what they were doing, normally just as they were getting started. Perhaps unsurprisingly they were normally more than a little confused… prompting me to offer further “helpful” resources. I am not saying any of these are inappropriate in and of themselves; each has a valuable place in my classroom and I use them all and more. But they are workload intensive and do not always seem to do the job. Reading about cognitive overload has helped me to understand that, far from helping, at times I was making a challenging situation worse, overloading rather than supporting my students. Sometimes additional resources or support will help them to achieve. Sometimes an early conversation will help. At others, they may need a little extra time to get to grips with instructions and have a try at activities, rather than leaping in with further support and models, which they may not necessarily need. My core focus now is on planning exactly what thinking I wish them to engage in during an activity. I then find it a lot easier to think of ways to strip away barriers to learning. Oversimplifying reading materials… literacy barriers can be some of the hardest to overcome in the mainstream classroom. Even relatively small gaps in literacy levels can damage students’ confidence or ability to access written materials in the time we have. There is an added challenge in the history classroom where students often have to grapple with archaic language use and unfamiliar sentence structures. In the past, I would often spend a great deal of time simplifying source and written documents or removing several examples to allow them to focus on one or two sources whilst others would have more. Sometimes both. (I’d then replace much of what I’d received with other additional resources such as word lists … see above!) An article in Teaching History helped me to reflect on this, arguing that it was fundamentally unsound to expect students to do more with less … to build a picture of the past, analyse evidence and evaluate interpretations with less evidence upon which to base their judgements. I am now extremely careful to think about how I support students to access complex text. Whilst I may trim the overall word count, I now focus on teaching students techniques to access material that, in the past, I would never have shown them. For example, highlighting familiar words and phrases, circling difficult passages, reading to get a “sense” of the document and comparing their understanding with peers. Expecting students to know how to use extra time… In the past I have often treated “extra time” as a sort of universal panacea without really thinking about what it meant for the student, especially in terms of their cognitive processing. If asked, I would generally have assumed it meant more time to write and thus bring up the word count. For many years I diligently gave students their extra time in assessments without ever discussing with them how they used it or whether it was working. In recent years, colleagues have helped me to understand that “extra time” can mean different things in different subjects and for different students. Do they need longer to plan? To process instructions? To check their work? This can involve paying close attention to them during class assessments and then discussing with them where the sticking points arose very soon after the assessment (while they still remember) to suggest strategies for the next assessment. A similar approach is needed for other concession including rest breaks and access to technology. Unless students are trained in how and when to use deploy these supports, it is very wrong to assume that students will know how to use them to best effect. I now invest a lot more time working with students to understand how they can best use their extra time and training them to deploy it strategically. Over marking and unfocused marking … Especially when there is a “gap” to “close” I have found it very tempting to thoroughly scrutinise the work of some student groups, including SEND in a well-meant but ultimately ineffective attempt to fix everything at once. Some general comments on skills deployed to reinforce these, reflections on the target set and a new development points and, of course, some literacy feedback … so much to choose from, so why not a good selection? Positive as well as developmental of course, to keep up motivation! Of course, in terms of cognitive processing, this approach was doomed to failure. Much like the over-load in lessons, the over-load in marking did not help students to focus on a particular development area for improvement. There was often a disconnect between target and feedback; or at least the connection was hard to find in a sea of red pen. In fact, it makes perfect sense that if you’re struggling with one area other things might slip. What you most want is to achieve a level of competence in your target area and then go back to the other, slowly integrating your skills with practice and increased confidence. I now ensure that my feedback is very closely focused on the relevant target for the piece of work I’m looking at to help create a coherent cognitive experience for my students. What is it that I want my students’ brains to be focused on during this task/section of the lesson/experience and how to do remove distractions that could cause cognitive overload? Do I really understand what they’re struggling with at a cognitive level? If not am I ready to start firing out solutions and adjustments? Did the action I took, however laboriously planned, actually have the desired outcome for students? If not, do I understand why not? Where is this student succeeding and what can I learn from the practice of my colleagues in terms of supporting them? 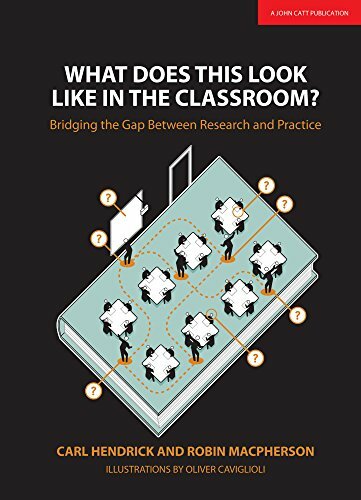 Carl Hendrick and Robin MacPherson, What Does This Look Like in the Classroom: Bridging the Gap Between Research and Practice, (2017). Chapter 4, ‘Special Educational Needs: Maggie Snowling & Jarlath O’Brien’. “The great difficulty of teachers … is that they have to fight against the evil habits of speech contracted in the home and street.” (Newbolt Report, 1921). The Newbolt report predated the adoption of Received Pronunciation as Standard by the BBC by one year. It reminds us of a time when linguistic discrimination was rampant and local dialects both frowned upon and judged. The poem I most vividly remember learning at school is “Six O’Clock News” by Tom Leonard. It simultaneously introduced me to two powerful ideas: that the dialect I heard spoken around me was not “normal” but sounded distinct and strange to the vast majority of British people, and that people received strong messages about the “right” and “wrong” way to speak that were far from culturally neutral. In many ways, it is easy to think that we have moved beyond this era, with accents and dialogues being celebrated rather than shamed. However a 2013 survey by ITV’s Tonight programme found that judgements about people’s speech patterns remained prevalent. Famously, a Devonshire accent was judged as most friendly, a Liverpool accent as least trustworthy and the constructed voice of received pronunciation continued to be rated as the most intelligent-sounding accent of all British dialects. The same survey found nearly a third of British people believed themselves to have been discriminated against because of their accent. In an informal review of my students, sadly all of the students with a strong accent reported being teased or mocked for their way of speaking at some point in their school careers. This is clearly unacceptable and needs to be fought. However there is far more to speech than simple accent; patterns of sentence construction, choice of vocabulary and the role of slang all pose challenges to the speaker and listener. The dilemma I find as a teacher is how to deal with students’ informal speech patterns and vocabulary that is not “standard English.” I often reflect on whether, in correcting such speech, I am not falling into the old trap of forcing a dominant mode of speech upon people who are already struggling to express themselves, rather than celebrating their contribution. What is the appropriate response to being told that a particular prime minister was “peng”? (This especially stumped me as I had not, at that point, tracked the change from the irrelevant concept of being physically attractive to the wider use of being ‘good’.) I found one group of year 9s fiercely arguing about how to describe the Victorians’ reactions to modern policing methods and the catching of Dr Crippen by telegraph. They knew what they wanted to say but could not agree whether “gassed” was the right word to use or would get them “into trouble”. Over-correction of speech can demotivate students and make them uncomfortable sharing their ideas outside of a limited circle. Most teachers are aware of the potentially demoralising impact of tearing apart a piece of extended writing with red pen and spelling corrections, and most recognise a similar issue with verbal contributions. This is particularly likely to disempower vulnerable groups, many of whom already underachieve shamefully in our society. The imposition of a particular vocabulary or pattern of speech may not even be academically justified. At some point many acceptable speech forms were considered to be disreputable slang. Language grows and changes. Who is to say that in a decade’s time historians will not happily talk about how “gassed” everyone was about Victoria’s diamond jubilee? Focusing on how students express themselves can lead to a shift away from a focus on their academic ideas and conceptual understanding. If this acts as a distraction from core learning, then we have created a problem for ourselves and our students. In this spirit, Barnes, Britton and Rosen suggest that all forms of talk should be equally valued in the classroom. Instead of non-Standard English being corrected, and students’ home cultures being “suppressed” informal talk can be used to encourage pupil participation in discussion. It certainly feels that this would be a much more empowering approach than that advocated in the Newbolt Report. However, sometimes the dangers of not giving students feedback on their speech can be overlooked. As a state school pupil at Oxford University I experienced discomfort at contributing to discussion for the first time in my life. I found there was a wide range of concepts and ideas that I had encountered in books or articles but hadn’t previously discussed. Sadly, too often, inaccurate pronunciation of such concepts distracted from the point I was making, and in a number of seminars I found myself reluctant to contribute due to the unsupportive atmosphere. It would have found it much more helpful to be introduced to complex language in an appropriate way, and it was those tutors who offered appropriate corrections who did most to extend my vocabulary. In less structured discussions, I frequently ended up remaining in my verbal comfort zone, rather than using appropriate academic language for fear I would get it wrong. In this sense we have a responsibility as teachers to expose our students to academic language, to teach them how to say words and to offer correction and advice (in a supportive way) when they need it. I would like our students to go out into the world confident in their speech and ready to engage in debate rather than holding back. I have also prepared A-level students for interviews (university and apprenticeship) where the quality of their ideas may be hidden by their inability to target their language to their audience. We could argue for a world in which they would be judged only on the quality of their ideas, rather than the way in which they explain them. However that world does not seem to exist. Thus, it is vital to give them the kind of feedback that helps them to select appropriate language and create the impression they want. With the year 9s we agreed that “gassed” showed an important understanding that the Victorians were excited by policing developments and the work of detectives. We were able to select alternative language that better expressed the concept in academic language for their feedback, although we did agree that “gassed” would work in an informal setting. In the past I am conscious that I may have over-corrected students’ verbal contributions and written work, and risked demotivating them. However, nor do I want to disempower my students by sending them into the world unprepared for the expectations of their audience. Bordieau’s idea of cultural capital is important here. If students can recognise, accept and celebrate different ways of speaking whilst having the flexibility to adapt their speech to their purpose, just as they do their writing, then they will have been empowered rather than disempowered by correction or feedback. As with anything in teaching, there is no simple way to get this right, but on reflection, it feels like a worthwhile goal for which to aim. Is this a technical term that they need help to accessing if they are to develop as an ‘expert’? Is the meaning or purpose of their contribution unclear, in which case will it be helpful to ‘rephrase’ or offer advice? Are my students exercising choice over how they present themselves orally, or are they limited in their choice of language? If the latter, what is the most supportive way I can extend their reach?